No, I am not talking here about various aberrant religious groups, including some Mormon subgroups today. There may be a few nutters out there who claim to be Christians and actually promote bigamy, polygamy and the like, but they are not the focus of this piece. Instead I am looking at the issue as a spiritual metaphor. The Bible everywhere speaks about our divided religious loyalties in terms of sexual sin, adultery, unfaithfulness, and so on. More on this in a moment. But first let me mention two things I just came upon this morning – the first from a young but wise person. Out of the mouth of babes…. You never know where the next word of wisdom is going to come from. The first two things I read this morning very nicely tied together, and one came from a young Christian who seems to be wise beyond her years. As I read that I immediately thought of the rather sad state of the church today and how so many Christians most certainly ARE doing what the surrounding culture is into. God warned the Israelites not to be like the surrounding nations, but we know they failed miserably in that respect, and we see the same thing happening with Christians today. Her fifth point really stood out to me: “The church married the culture but it was already married to Jesus so was in a bigamous relationship.” I replied: “Yes quite right” and I shared the Leviticus text I had read moments earlier. The two certainly go together. As mentioned, the Bible repeatedly looks at the idolatry, unfaithfulness and disobedience of God’s people in terms of marital and sexual unfaithfulness. Spiritual adultery is certainly occurring when we say we love God but end up really loving the world. Indeed, that is really spiritual bigamy. Israel was married to Yahweh, and Christians today are married to Christ. 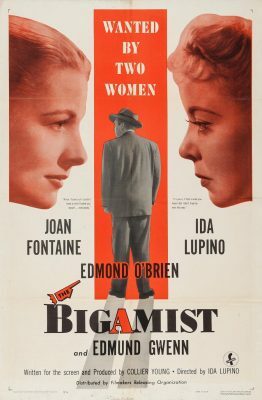 But to the extent that we love the world, dabble with the sins of the surrounding culture, and try to have our feet in both camps, we clearly are being spiritual bigamists. Jeremiah 3:8-9 She saw that for all the adulteries of that faithless one, Israel, I had sent her away with a decree of divorce. Yet her treacherous sister Judah did not fear, but she too went and played the whore. Because she took her whoredom lightly, she polluted the land, committing adultery with stone and tree. Ezekiel 16:38 And I will judge you as women who commit adultery and shed blood are judged, and bring upon you the blood of wrath and jealousy. Revelation 2:22 Behold, I will throw her onto a sickbed, and those who commit adultery with her I will throw into great tribulation, unless they repent of her works. 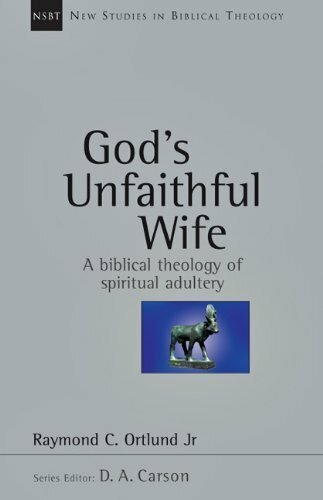 For those who want to take this much further, see the important 200-page treatment of this topic: Whoredom: God’s Unfaithful Wife in Biblical Theology by Raymond Ortlund (Apollos, 1996, later released as God’s Unfaithful Wife: A Biblical Theology of Spiritual Adultery, IVP, 2003). The idea of physical adultery being used as an image of spiritual adultery is a powerful one indeed. And it is a very concrete image. A husband and wife commit to each other for life, but when they break those wedding vows and go after strange flesh, they are violating a sacred trust and a holy covenant. All husbands and wives who have had a spouse cheat on them, stray from them, or act unfaithfully to them, know all about the pain of betrayal and the agony of such treachery. Yes, the good news is, those who sin this way can find forgiveness with repentance, confession and turning from that sin. But the spiritual imagery here is usually about long-term and consistent unfaithfulness, not just a few once-offs. Israel was seen as an ongoing adulterer and unfaithful spouse to the Lord, and many Christians today are in the same boat. As they cozy up to the world, seek to be friends with the world, and desperately try not to upset or offend worldlings, they are in ongoing rebellion against Christ. Disturbingly real imagery Bill, the nail is right through the wood here. My how we need you tokeep these writings coming, thank you. MR M, my dad said thank you for complimenting me. He also said he gets a odd pleasure in the thought of his daughter filling another fathers mind with her thoughts since he doesn’t know where they come from, especially when she is having a tantrum over something as trivial as cosmetics. It isn’t trivial Mr M.
I like to have something really graphically descriptive to understand the church and its relationship to Jesus. I get we are his bride, but the church came about after Jesus death and resurrection so there is this disconnect. Do not think I am questioning the validity of the church, as I am not, what I am saying is when Peter was told I will build my church on you it seems to have a disconnect. This can be closed, well for me anyway, by going back into Genesis and locate Adams Bride, and it goes like this- Adams side was opened and out popped Eve, allow me a little paraphrasing as the event is the important bit and not the details. We now find ourselves at the foot of the cross and the church is about to get birthed by Jesus himself. A soldier opens Jesus side and the waters break and the church is born. I like that as the marriage (the church) is created in birth. I am not claiming this is biblical but its something we can visualise and take comfort in. This also links marriage to birth. which it always was until it got reinterpreted to, it’s all about love and we accepted that straw marriage and then left to defend marriage on those terms. Marriage comes before love or out of marriage comes love I think. When a boy (man) wants me as his wife I understand he will choose me first on my looks I then have a limited time to sell my character to him, as if he doesn’t want to marry my character then it’s just a matter of time before a prettier girl comes along. I notice in church that the men who have strong marriages love their wives differently than those newly married. One isn’t better than the other I don’t think but one has got to become the other if it is to survive perhaps. I think it’s very likely love came after marriage in the elderly couples, it started with sexual attraction which the world calls love. The outcome of marriage is birth and if it isn’t that has more to do with biological problems then proof birth isn’t part of marriage. God created and we are made in his image so we create via marriage as creating was orderly. My mum explained marriage this way to me 3 years ago now and I have to keep remembering it so I do not lose it. I was very young when she explained this to me so she probably simplified it for me perhaps. Whoever said ‘children should be seen but not heard’ are missing out on so much delight and joy. Sarah the maturity of thought that shines through your comments tells me that you and Jesus have many great adventures to share as you walk with Him. Bill M this is such and important topic and no more so then in these darkening days. I’ve often thought of the analogy of unfaithful Israel and the unfaithful Church of today and being a believer in the ‘British Israel’ message only magnifies this analogy because if BI has credibility, and God is still interacting with His people nationally as well as raising His Church, we can expect to see His mercy and grace being removed from these now adulterous nations. True repentance of ancient Israel, after Godly discipline was applied with the use of enemy nations, but was then rewarded with God’s grace and blessings of supply and protection again. The question is, will the Church repent in our day in a Last Day’s revival of the West or will she be purged until only the faithful remain until the coming of Christ. I can speak from my personal experience that God is bringing me into a more chased and faithful relationship where the things of the world are losing their priority and I can see the same in those of our fellowship. If this change in our fellowship is reflected in the churches at large maybe we have and exciting End Days revival in the West ahead of us. We all fall far short of the glory of God and no amount of work on our part will fix it. Faith in Jesus is the only way to be saved. Thank you so much, Mr Lewis, people are so kind on Mr M blog I can only imagine he holds back a wave of criticism directed at me. I can answer your point on who said Children should be seen and not heard, it’s my Uncle! he says it all the time, well I can’t say for sure all the time, but all the time I’m around. As for my maturity, I work hard to be as mature as possible that includes the way I communicate as opposed to the content, therefore, I use adult words. (like, therefore, however etc.) My last English Lit teacher told my dad on an open evening that I could quite easily confuse since in a conversation with her I could go from someone 2 or 3 times my age to someone you would worry about if not closely supervised. If I have enough time to think of what I want to say I can get to the heart of the problem If I don’t I am likely to say something silly. I think that is because I am out of my depth in situations like that since I have no depth at the moment. I am gathering depth I think, but I think that comes with time and there is only so much depth someone of my age can have. I do have adventures with Jesus and it’s important to do so since what you look up to has to be something you cannot quite reach, yet something that can reach down to you. When my mum was killed in the accident, I had a falling out with Jesus and I throw my Bible (his word) across the kitchen since he wouldn’t give me back my mum, but as usual, he had to teach me some hard truths, like my mum, didn’t want to come back to me, she wanted me to go to where she was, since she wanted the best for me, she always did, its what mums do, so do dad’s. It was a hard truth to accept that my mum couldn’t get me to heaven, neither does she weep for me or even miss me since those things do not overcome the depth of love she is experiencing. The thing that made me pick my bible back up and say sorry to Jesus, was the realisation that my mum loves me (even now) but her love couldn’t get me to heaven she could only tell me of its existence and point me to the path that led there. I like her had to walk that path myself since that is what love comes down to in the end. She couldn’t make me love Jesus enough to walk that path since that wouldn’t be love but coercion. The mistake I made was to peer into my mum’s casket and see my salvation in her lifeless body. I think its the case that when you are young you see your salvation in your mum and dad perhaps, since all that you know of Jesus is what they tell you. If that was so, love would remove anything obscuring your view of love perhaps. My Mum was a musician and she taught me Piano and Violin, music was her passion and, of course, I wanted to be just like my mum, what little girl doesn’t. I was taught Piano from 4 and Violin from 7. When I say taught, like all my waking hours was music. I enjoyed it since me and my mum did it together. I inherited her gift, so it wasn’t hard. When my mum died so did my reason for playing, she loved music, I loved her so I loved music too. When music took second place in my life I wanted to know “whys” which I don’t think I would have if the biggest why wasn’t related to my mum’s death. I miss my mum every day but I had to decide if I wanted to live missing mum or emulating her in my dads and brothers lives. I figured the best way to keep close to her was to take her place to the best of my ability, so no one puts their feet on the furniture when I’m around not even my dad. My Dad and brother rule over my life, but I rule over our home I keep it immaculate, and my men eat healthy meals, they are only allowed 1 take-a-way a month. My mum would be proud of me, it’s important to have something to work towards “proud”, otherwise, your life would be an endless search for pleasure and I think there is nothing as destructive to those my age as to search for pleasure find it and still be unhappy. God’s love for us provides boundaries for us to protect us from the world and its false teachings and models. Remember your mother’s wise words and God bless you as you hold fast to His leading. Yes Bill I agree. The point I was trying to make though is the sanctification process is secondary to justification, and certain people (not all) worry too much about sanctification. The way I see is not everyone who claims to have been saved are truly saved. Some of course are but some are not. Those who are not are still unsure of themselves and if they spend too much time working their way through some sort of sanctification process and do it the wrong way, say by belonging to a group or church with the wrong understanding then they could end up never being saved. So the justification step is vital and should never be overlooked even when discussing sanctification. They really go hand in hand. Yes Joe quite right: justification is the foundation of sanctification, and both are an essential part of the Christian life. You can’t have one without the other. And yes, many who are friends with the world may well not be Christians at all. Interestingly, Lorna, I would have been 10 or 11 when my mum explained marriage to me. there was more on marriage that she told me but I left that out as my post could go on and on, but given your interest. I will add them so you can enjoy time with your ggdaughter. My dad gave me my mum’s notes on marriage that they had prepared together. I was thrilled as they are in my mum’s handwriting it’s like a letter from her to me from beyond the grave. What my mum did was every Wednesday night she would come to my room. I could ask her anything and she would answer my questions. The questions were often the same- tell me how you and daddy met and got married. I asked this many times apparently. I would ask where do babies come from, my mum’s explanation confused me, my dad’s shocked me! Why are boys so aggressive I asked, and why does daddy have to go out to work? I bet you asked the same questions and have had to answer some of these too. Marriage is like a play with two actors in the first scene and an unknown number in the second scene. Daddy plays the part of, Jesus and mummy plays the part of the church. Mummy is daddy’s bride. Daddy loves his bride so much that he provides for her and protects her. Daddy leads the church, as its mummy’s one of only two gift she has for him. She puts her faith in him (to lead her) and is faithful to him having no other men but him. This is an important play since its what we live as Christians, she told me, and the reason we do is to show a disbelieving world through our marriage a picture of Jesus and his church. If you are ggdaughter wonders what the people are in the second scene of the play, point to her and any brothers and sisters she has. Have fun with her and at the same time give her a biblical view of marriage that she can carry down the church aisle on her wedding day. The below will help the seeds that you spread in her grow. Thank you for your kind words, Lorna and be assured nothing will separate me from the love of God.